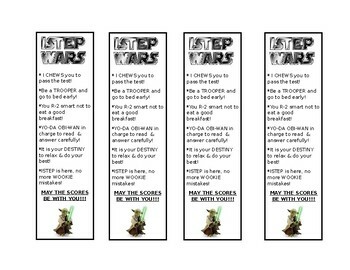 These bookmarks are Star Wars themed for ISTEP week. They have cute pun related tips on how to be a better tester. "May the scores be with you!"